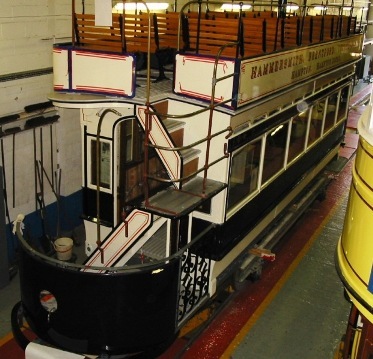 I spotted this open top Hammersmith and Brentford tram on a visit to Crich Tramway Museum on 2 September 2010. It dates from around 1901 was found in a quarry. Only the bottom part was available and it has taken 5 years to restore, at a cost of around £350,000. The electrics have been based on an Oporto tram of the same type. It should be in service at the museum in 2011.